Ski hotels in Châtel : compare ! Close to Evian-les-Bains, find the village resort of Châtel which is part of the Portes du Soleil ski area. You will appreciate your cheap ski hotel in Châtel, a resort where all the slips are practiced! From your hotel to skiing in Châtel, discover a resort that offers an ice rink, ice diving, snowshoeing, night skiing etc. You will enjoy discovering the alpine ski area on 83 km from your ski hotel in Châtel. For great skiing, you can reach the nearby resorts to explore the slopes of the Portes du Soleil, one of the most renowned ski areas! In a warm and family atmosphere, discover during yourski stay at the hotela few of its monuments unavoidable if you only quote the church of Saint-Laurent built at the beginning of the 20th century and the chapel Notre-Dame de Plaine-Dranse de Châtel built in the 1980s. Besides visiting historical monuments, the village offers various activities for visitors such as paragliding. Several places inviting to the walk will allow you to contemplate the fauna and the flora of Châtel like the pass of Bassachaux and the lake of Vonnes. In Châtel, you will be able to spend a ski hotel stay according to your budget: from the high-end hotel to the low-cost hotel, you will have the choice between establishments of different categories. By choosing a ski hotel stay in Châtel, you can spend a comfortable holiday, booking the various services such as a full board or half board. Spend a cheap week in a double room with breakfast, or find your ski holiday rental in Châtel that suits you best. 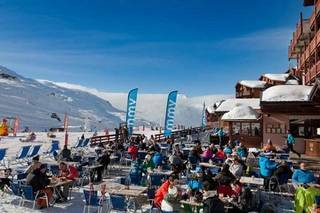 On Ski Express, compare deals to find acheap ski hotel.